Contemporary art is framed by the reference of contemporary age in the universal history of the world, that is, it is a period that begins in the year 1789, coinciding with the origin of the French Revolution and the independence of the United States, together with all the advances and trends that have developed in the world to the present. Therefore, contemporary painting is about artistic manifestations marked by the most recent currents in the historiography of art, many people relate this painting only to twentieth century art, although these currents cover more time in the history of art. Currently artists have a great freedom to make art for the reason that, unlike the art of past centuries, they needed to meet certain characteristics to be classified as part of art, while today there is no such norms, that is, artists have the autonomy to take any object and turn it into art. Let's not forget that art has rules and this group of artists uses them. 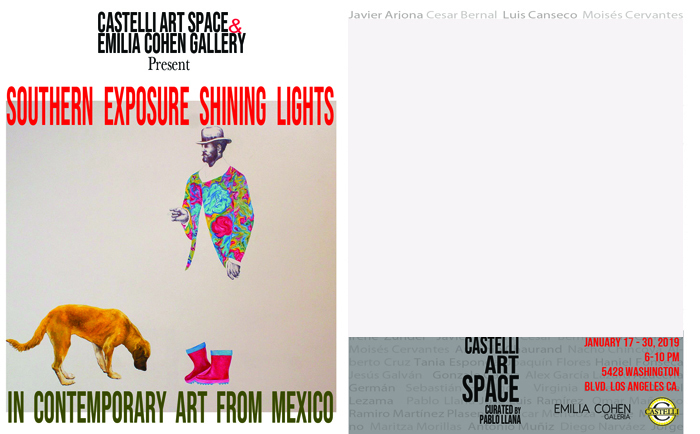 Speaking of contemporary art in México is to speak widely. Currently, Mexican contemporary art is more alive than ever, proving that art exists after Frida Khalo. The artists of the new generation bet for a greater freedom in the subjects, the technique and the materials, as well as in a greater artistic commitment. Mexican art seems increasingly less "Mexican" but more universal, like sculpture, installation and photography. It is time to present this art generated in the XXI century to new generations and to recognize its invoice and to show that art in Mexico does not contain borders. That is why the interest of presenting this group of Mexican artists outside of Mexico.